Bethamangalam is a small town located on the banks of the Palar River in Kolar District and was earlier known as ‘Vedamangalam’ or ‘Vedapuri’. It is located about 5 miles south east of KGF and is the underground water source of the Palar River. In 1903, a huge man-made lake in Bethamangalam was constructed to supply filtered water to the Kolar Gold Mines. 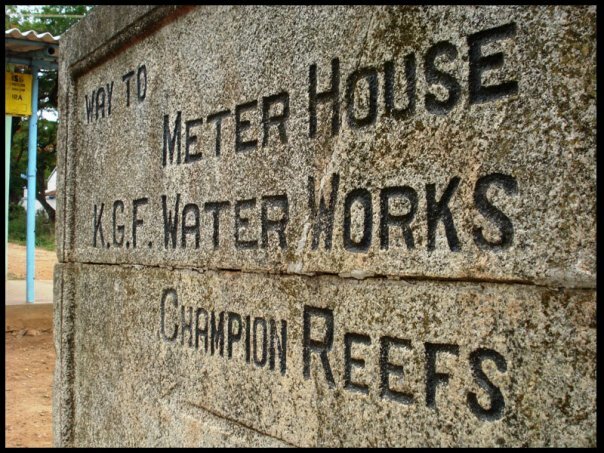 Two huge reservoirs were constructed to store and suppy a million imperial gallons a day to the mines in Kolar Gold Fields. The Jewell Export Filter Company of New York was given the contract to supply and install the necessary fittings and equipment at the plant, for the complete purification system. 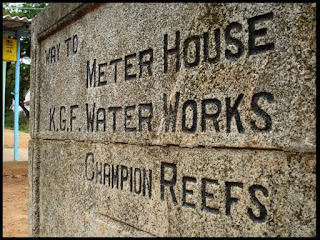 The purification system was fitted with 4 circular filters each having a bed of 3.5 feet in depth and 17 feet in diameter and filtered water was pumped from the reservoir in Bethamangalam through steel pipes to huge tanks in Champion Reefs near the Company Mining Hospital where it was then distributed to all the mines. The actual quantity of water consumed by each mine was registered and recorded by a Venturi Meter on the main pipe line. (This water supply from Bethamangalam continued right up to the time the mines were officially closed in 2001). Soon Bethamangalam became a popular sailing and picnic spot for the British population in KGF. A Sailing Club was established here around 1905, and it had a good number of Britishers and Europeans as members. A beautiful Club House was constructed, which had a well stocked Bar, a reading room, a Billiards and Snooker Room as well as a Swimming Pool. The Sailing Club had a fleet of canoes and Row boats, and served as a berth for private boats and canoes also. The Bethamangalam Sailing Club House was also famous for another reason. It seems that a British lady named Molly Manley was the first person to introduce the word game of 'Scrabble', to the British and Anglo-Indian populace of Kolar Gold Field in the early 1900s. Scrabble had only recently come into existence and it caught on fast with the British. They usually played this game sitting around a table, under a large tree, outside the Bethamangalam Sailing Club House, sipping their drinks and enjoying their snacks while they spelled and formed words and had a lot of fun. The Sailing Club closed up when the British Left India and the Club House was later converted into the Government Guest House after India’s Independence and is still in use today.